On Sunday, two dragon boats were capsized in southern China after which seventeen people died. 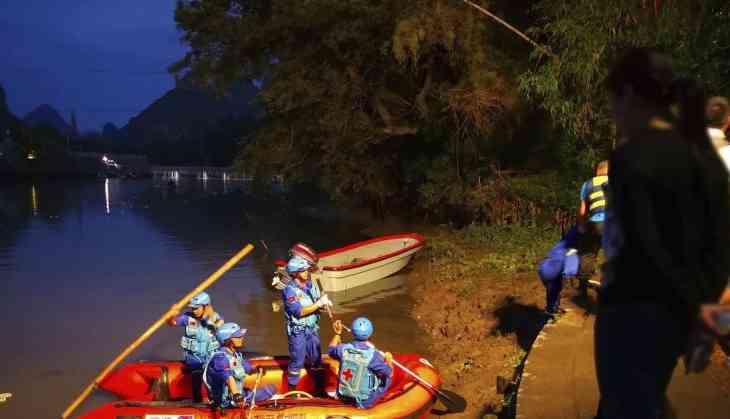 The dragon boats were practising for a race in the Taohua river in the city of Guilin when the horrific incident took place, the city’s fire department said. The CCTV footage shows that the sudden powerful current of the river is responsible for the incident. The still pictures showed one of the long, narrow boats packed with paddlers going over. At the same time, another boat came full of paddlers and got capsized, the pictures showed. The media reported that the paddlers in the dragon boat were seen without a life jacket. The Guilin fire department said, the search efforts ended late on Saturday and 17 people had been confirmed dead. A total of 60 people fell into the water. Initially, it was not clear what was the cause of behind boats being capsized. The Xinhua News Agency reported, almost eight boats and over 200 people were deployed for the rescue. Xinhua added, two organizers of the practice, from the village of Dunmu, were detained. This year the dragon boat festival will take place on June 18 and is a traditional holiday in China.